Seed funding of $25,000 for the winner and $10,000 for the runner-up in the pitch competition! 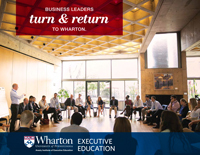 Upon successful completion of this online program, you’ll earn a digital Wharton certificate. Note: Seed funding cannot be used for personal expenses. It must be used to develop the business cited in the final pitch. The seed funding will not dilute equity positions. 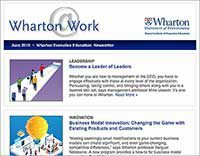 The Wharton Entrepreneurship Acceleration Program features in-depth interviews with company founders and representatives from startups and established venture capitalist firms. 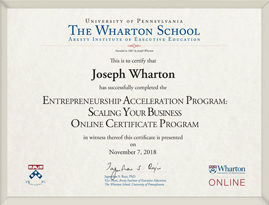 The online program also features examples of startups and established companies that were once startups. It will cover multiple industries, including consumer packaged goods, ecommerce, internet, media and entertainment, and technology. Note: All product and company names are trademarks or registered trademarks of their respective holders. Use of them does not imply any affiliation with or endorsement by them.